Currently in production in India for Netflix, Selection Day is a compelling story of cricket and corruption, based on Booker Prize winning author Aravind Adiga's novel of the same name. Adapted for the screen by Marston Bloom. Genre-bending science fiction epic for Amazon adapted by Peter Straughan (Wolf Hall, Tinker Tailor Soldier Spy) from the prize-winning novels by Dave Hutchinson. A thrilling look inside the world of British Evangelical megachurches, written by acclaimed playwright and screenwriter Bola Agbaje for Sky TV. 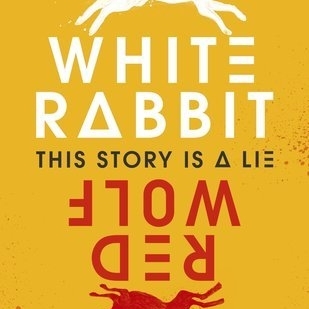 An international conspiracy thriller with a sci-fi twist, White Rabbit is an original TV series from the brilliantly-inventive mind of Tom Moran for TNT. Based on Tom Pollock’s much-lauded teen thriller, an adrenaline-fuelled, young adult series about murder, maths and the mind. Currently being adapted and to be directed by Sharon Maguire, this is Guardian journalist and New York transplant, Emma Brockes’ memoir about her complicated and often hilarious journey to single motherhood.